Stanley Dubinsky is a Professor of Linguistics at the University of South Carolina in the Department of English Language and Literature. He has served as director of the Linguistics Program in the College of Arts & Sciences, Associate Dean of the Graduate School, and founding director of the Jewish Studies Program. His primary area of research is syntactic theory, and the syntax-semantics interface. 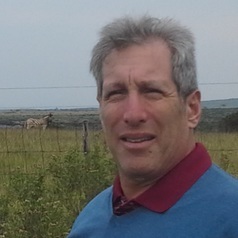 Dubinsky has produced three books, four edited volumes, and fifty-five articles and book chapters on a variety of topics – largely on the syntax and semantics of various languages, including English, Japanese, Korean, Hebrew, and two Bantu languages (Chichewa and Lingala). His 2004 Blackwell book, co-authored with William D. Davies, is titled The Grammar of Raising and Control: A Course in Syntactic Argumentation, and was followed in 2007 by an edited collection with Springer, New Horizons in the Analysis of Control and Raising. His two most recent co-authored books are Understanding Language through Humor (2011, Cambridge University Press), and Language Conflict and Language Rights (To appear 2018, Cambridge University Press).